If you like to always have a good Prank on hand then this Collection will be your go-to. The Collection includes 6 randomly assorted, classic Pranks from our website. 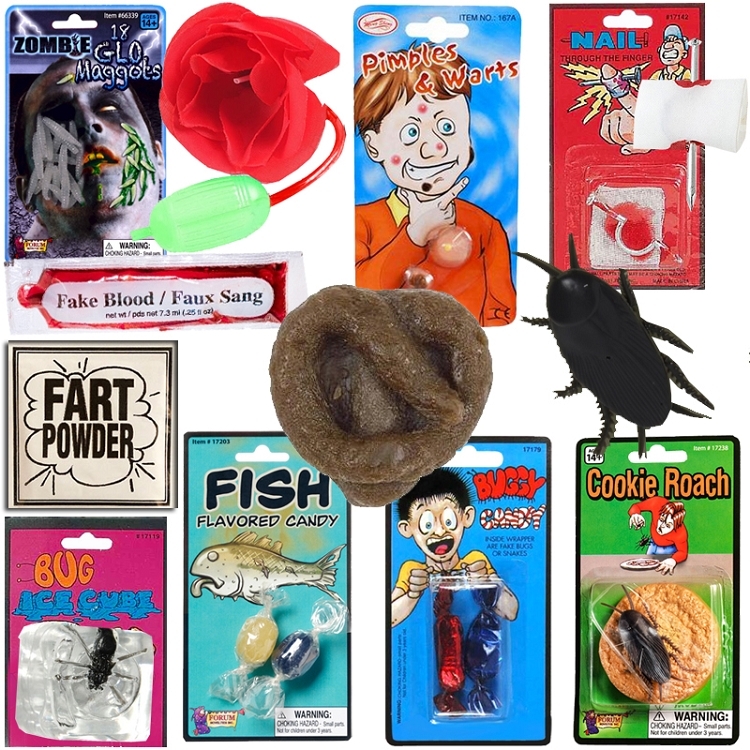 You'll find Pranks like the Nail Through the Finger, Fish Candy, Fake Dog Poo, Fake Blood, Fart Spray, and so much more.